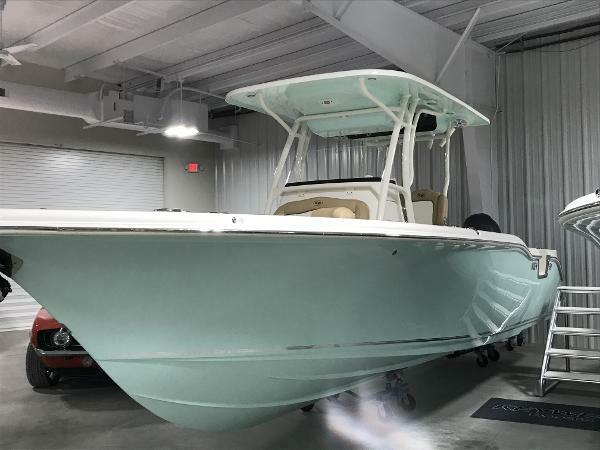 Designed with YOU in mind, this mint condition center console 2017 Carolina Flare 270 was made for 3 things: (1) fishing, (2) fishing, and, (3) of course, more fishing! BUT, unlike a LOT of the competitor's models on the market today, Shearwater goes to extra measures to add a dash of dazzling, a caliber of comfort, and a liter of luxury to their Bay Boats - as you will see and experience immediately upon boarding this magnificent fishing machine: Here are just a few of its many features, that the seller reports all are in excellent condition : - Two (2) 10' Power Pole "Blades" - I-Pilot 36 Volt Auto Deploy & Stow Trolling Motor - Twin 7612 Garmin GPS units - 4G Garmin Radar - Garmin VHF radio - Blue underwater LED lights - Blue courtesy cockpit LED lights - Half Tower with Four (4) spreader lights and Five (5) courtesy lights Blue/White - all LED - Ski tow pylon on top - 7608 Garmin GPS Unit in the upper station - Four (4) live wells - 28 rod holders - 12 rod lockers - Freshwater wash down - Raw-water wash down - Freshwater sink - Private marine head (porta-potty) in console - Removable forward cushion package with chase lounge - Removable forward table - Swim platform - Misters & Amazing Audio System in T-top - Onboard Battery Charging System for House and Trolling Motor - Mounted 406 Mhz EPIRB - Power Windlass Anchor And yet, there's still more! She also comes with a custom AmeraTrail tandem axle trailer, complete with step fenders, 4 wheel disc brakes and a spare tire! Inquire NOW while she's still available!. Stock #165992 CHRISTMAS SPECIAL!!! 2017 SHEARWATER CAROLINA FLARE 270 CENTER CONSOLE MERCURY VERADO 350 4 STROKE! TRAILER INCLUDED! 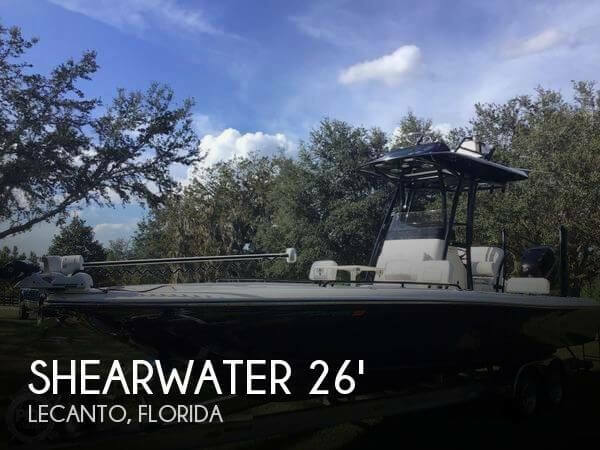 If you are in the market for a center console, look no further than this 2017 Shearwater Carolina Flare 270, priced right at $144,500 (offers encouraged). 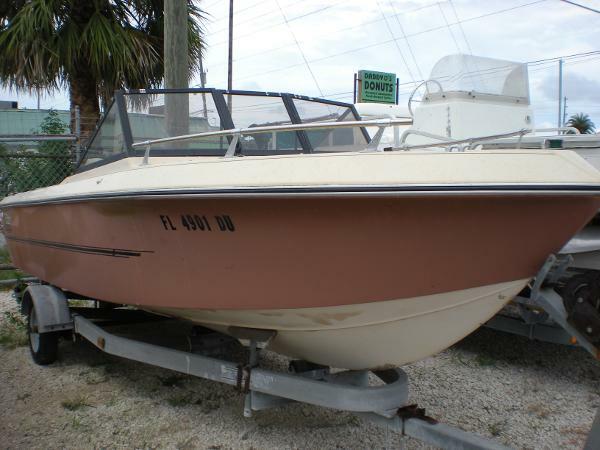 This boat is located in Lecanto, Florida and is in great condition. 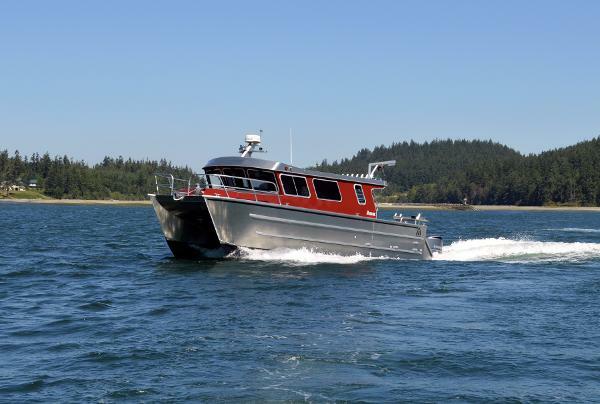 She is also equipped with a Mercury engine that has 310 hours. Reason for selling is business opportunity forces sale. 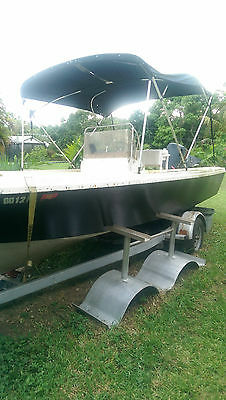 Original Owner, Title for boat and trailer, includes Bimini, manual trim tabs (one needs a new cylinder @$30), CMC jack plate with elec. tilt, motor is a 1999 but purchased NEW in 2006 from Jetts Marine (have the warranty card and bill-of-sale), new carburetor just installed by Lee Marine in Burgess, Boat was purchased from Buoy 8 in Saluda, beam of boat is 72", handles rough water very well. Cooler seat and spotlight included, no electronics. Set up for rear electric trolling motor with forward batteries. Great shape always stored inside. 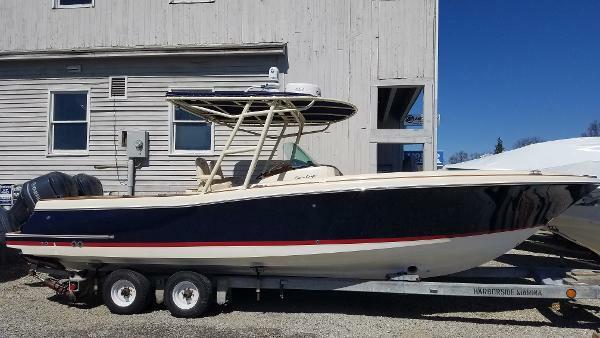 20' center console open fisherman. 115 hp outboard Johnson needs starter replaced. Also has s/s prop with hydro. New exterior and bottom paint. Boat, outboard and trailer for $2,000. This vessel is in very nice shape. The very knowledgeable owner has taken care in this vessel. Marina receipts are available for this well-maintained vessel. All her floors are in excellent shape and she feels very solid walking on her decks and side decks. Seller has included life jackets and complete set of flares and flare pistol. Also included a spare anchor and a spare propeller. 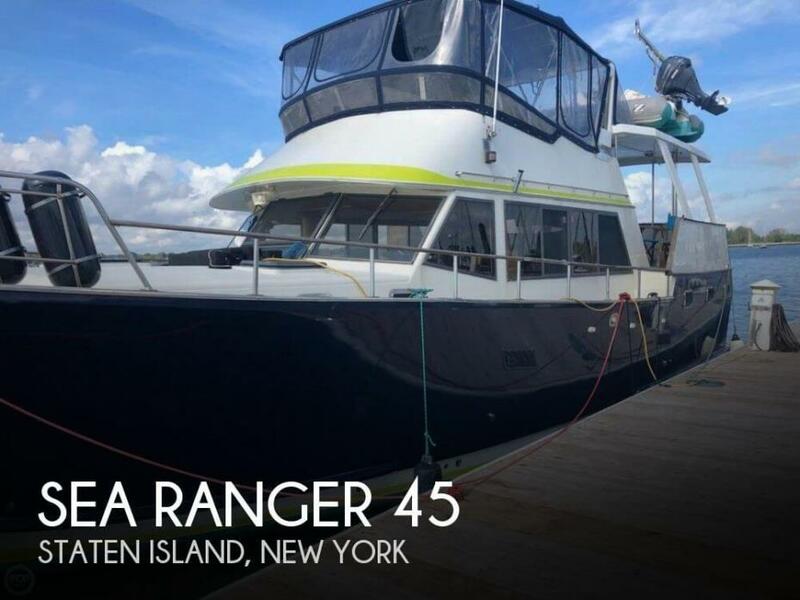 Stock #161876 Seller wants OFFERS NOW Full Aft Enclosure + newer Generator newer electronics/ Bow Thruster/AC/ Zodiac CC Dinghy w/ new 25 HP Yamaha 4 stroke If you are in the market for a trawler, look no further than this 1986 Sea Ranger 45, just reduced to $89,999 (offers encouraged). This vessel is located in Staten Island, New York and is in great condition. She is also equipped with twin Caterpillar engines that have 2,700 hours. Reason for selling is does not use often enough. 2000 Gillikin Custom Carolina 27 Center Console A truly one of a kind custom Carolina boat built by legendary builder Ricky Gillikin. Beautiful Carolina Flare, new power and recent paint make her a boat you don't want to miss out on! 2018 Vantage triple axle aluminum I-beam trailer included. 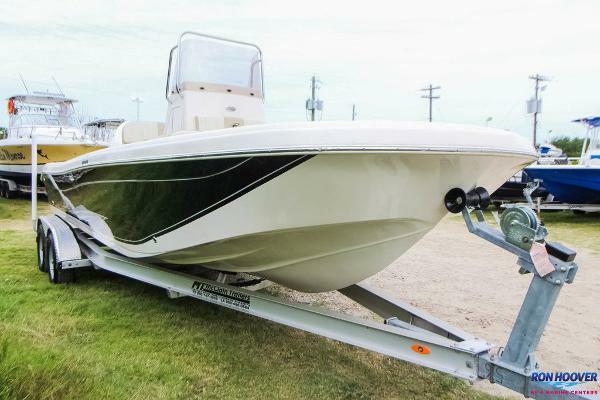 2008 Regulator 32 Forward Seating The Regulator 32FS is not for the squeamish, it's pure sportfishing dynamite! Start with the legendary ride built into every Regulator. Many call it the smoothest and most solid ride they've ever felt. It comes from Regulator's exclusive Fiberglass Grillage System, a rigid framework encased in the hull that acts as the armored backbone of the boat. Combined with an extra thick all-fiberglass hull made from the finest resins and gelcoats available, the 32 can withstand the most punishing sea states, and thanks to its deep-V sharp-entry bow and Carolina-flare design, the ride is also dry and comfortable. The Regulator 32 FS provides a level of standard accommodations and fishing features that raises the bar out of sight for the competition. Thickly padded forward seating for five rests atop twin 220-quart wet or dry storage boxes, while 360-degree coaming pads encompass the boat to cushion backs and knees. Some of the extra features that make the Regulator 32FS stellar are a 645-quart in-deck locking fish/rod storage box; 64-quart cooler under the front bench seat; fiberglass-lined 6'2" stand-up head with 35-gallon shower and sink; walk-through transom door; and combination leaning post/rigging station that houses a freshwater sink with insulated bait tray tackle storage, five rocket launchers, and rigging racks. The Regulator 32's impressive storage capacity continues with a 40-gallon recirculating livewell and 130-quart fish box in the transom, as well as a glove box and under-console dry storage bin. Two additional locking rod storage boxes are at the forward steps.For power and control, the Regulator 32FS relies on dependable Yamaha. Their Command Link Digital Network Information System features precise digital readouts of important functions on the twin Yamaha F350 four-stroke outboards with 700 horsepower. All electronics are flush mounted and are lockable behind a panel at the helm. Stainless steel fuel/water separating filters keep the lines clear, and stainless steel props provide the twist. Standard 22" x 14" Lenco tabs allow for precise trim response. Combined with Teleflex tilt and power assist steering and an Edson polished silver wheel with Power Knob, you get an easy handling powerful deepwater stalker. Popular options for the serious angler include a solid fiberglass T-top with pre-wired electronics box and 18-foot Lee Sidewinder outriggers with laydown mounts.